Anti-virus giant AVG has announced a major upgrade to its software, with the arrival of version 8.5 also bringing an update for the popular free version of its malware detection package. 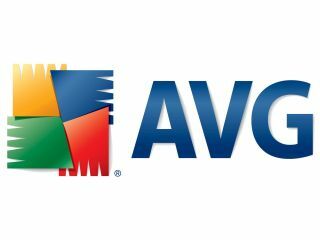 AVG Free is one of the most used anti-virus packages on the planet with 80 million users across 167 countries, and the company believes that its latest update to both its free and paid-for offering is a key step in the race against ever-more sophisticated malware. The acquisitions of two companies – XPL and Sana Software have brought some major changes for AVG, as AVG's Paul Burke told TechRadar. "This means that any random website that you visit, we step in and check the webcode before it's executed to block any malicious code. "This is the key enhancement for people using the free version – and it's very important bearing in mind the ever-increasing time we are doing we doing web searches or e-commerce. With the paid-for program, the acquisition of Sana Software brought a more sophisticated behavioural check – which should stop previously unreported malware from having such an easy time. "The acquisition of Sana brought in behavioural detection technology. This isn't by any means a new technology in the anti-virus industry but there were a couple of things that we liked about the Sana technology which we brought into AVG 8.5. "As good as we are at getting notifications of threats – and with 80 million users we get a new threat about every four seconds – having behavioural technology means we can step in earlier. "One of the major concerns about behavioural is that you get false positives – but this software can 'phone home' to check any borderline suspicious executable program files against our database. The other thing we liked is that the behavioural software is pretty good at isolating and removing the malware before it causes a problem. It's got a good success rate. Burke also told TechRadar that finding the balance between providing users of the free AVG product with quality versus pushing people to pay for the full version is one of the company's toughest balancing act. "It's a constant dilemma that we face," he added. "We have to provide adequate levels of protection for the AVG free users but we also have to show enough incremental value in upgrading to our premium software. "That comes by way of offering more features and more levels of security and also support which is a big part of why customers pay. Support for the free version is supported by a forum which we host and moderate."